Go 'team bride'. Join the team and show it with these badges of approval. Get hen party badges from hen party superstore. 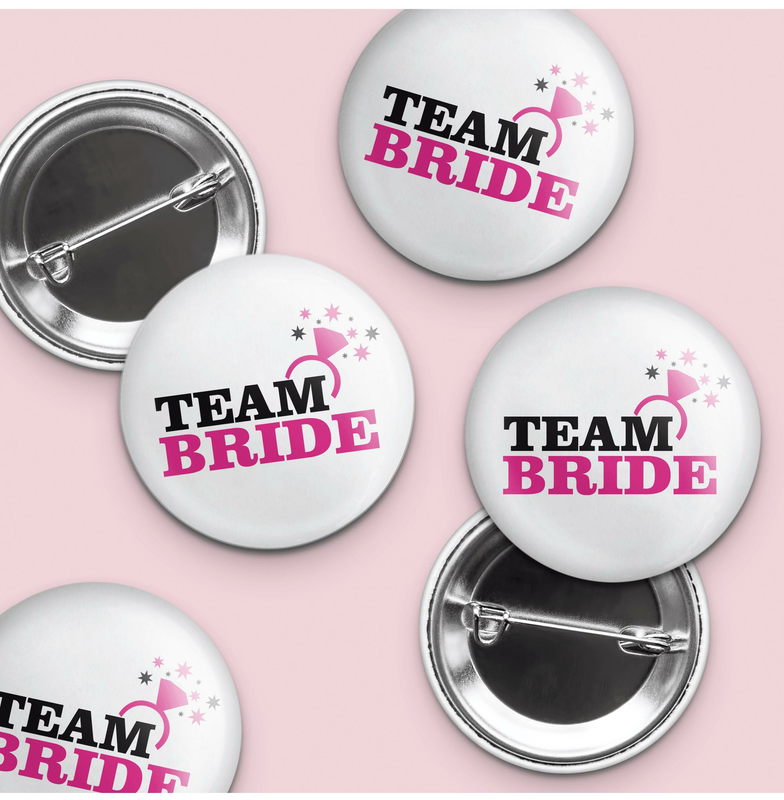 These fun hen do badges are of a high standard and also coordinate with our other 'team bride' hen party accessories. Featuring a safety pin back and a metal front.